Have you ever wondered that your surplus money can earn more interest than what you get in a bank’s savings account, while also providing anytime liquidity? If yes, you should consider investing in liquid funds which offer higher interest than a savings bank account would, without any lock-in period. So, what are these liquid funds? Liquid funds are debt mutual funds which invest in very short term fixed income instruments (example bonds) issued by government, banks, public and private companies. By regulation, these instruments have a maturity of less than 91 days. As the instruments are very short term in nature, it makes liquid funds one of the least risky categories among debt mutual funds. Additionally, the expense ratio charged by these funds is very low (average of 0.12%) and there is no entry or exit load, making investment and redemption from the fund easy as the name suggests. Some mutual fund houses have also started providing the facility of instant redemption in their liquid funds ensuring that an investor can withdraw up to Rs 50,000 or 90% of their investments instantly and rest on the next day. The redeemed amount is credited to the bank account of the investor and can be withdrawn instantly. Apart from the safety and flexibility offered, liquid funds also deliver consistent performance. To highlight the consistency of returns in liquid funds, let’s take an example. We have shown below yearly returns of liquid funds in comparison with gilt funds (Gilt funds invest in Govt. of India bonds which have negligible risk of default). Default risk in liquid funds is also very less owing to their top quality short term portfolio. But the table below highlights the wide variation in yearly returns of gilt funds. This is because interest rate risk is higher in gilt funds, since they invest in long term government bonds. Note: Average returns of top 5 funds by AUM are taken into consideration across both categories. Government Bond Funds represent Gilt Funds. All return figures are in absolute percentage terms. Thus, liquid funds defend an investor against volatile interest rates in the market while generating steady daily returns. Can you believe that on an average, liquid funds gave negative returns only on two days in the past 13 years? Yes, these funds are that safe in terms of protecting investors’ capital! Liquid funds are suitable for? 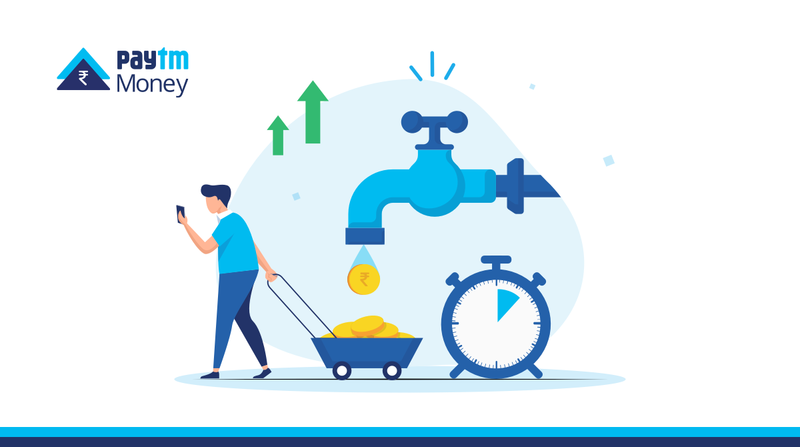 The objective of a liquid fund is to generate consistent daily returns by taking very low risk and providing easy entry and exit to investors as and when needed. These funds are ideal for capital preservation and parking your surplus cash in the short term. How to choose a liquid fund? Ensure that the fund has a large AUM: Having high AUM will make sure that there is less concentration in the portfolio. Also, this will reduce the redemption pressure and limit the loss in NAV in times of crisis. Ensure that the fund is from a reputed fund house: As large corporates invest in funds from bigger AMCs, the portfolio of such funds will be of high quality and thus chances of default are very little. Don’t choose based on past returns only: Given the instruments that these funds invest into, it is hard to generate higher returns than the category without investing in riskier instruments. Funds investing in such risky instruments have high chances of facing drop in NAV due to defaults. So, don’t get lured by funds offering highest returns. By now, some of you may be surprised why we have not mentioned the credit quality of the funds here. For those who are wondering what is credit quality? It is a parameter that tells you about portfolio quality of a fund i.e. how risky the liquid fund is? We want to make it clear that credit quality is the most important parameter to choose any debt fund, but this is also the toughest parameter to check for a retail investor. Hence we have first outlined some basic checks that a retail investor can do on his own. Does it look like a big checklist? We understand that as a retail investor you must be having limited data and limited time to do this research. Hence we suggest you consult an investment advisor to choose the right and safe debt funds. This is also the reason that we on Paytm Money showcase also the assets in which mutual funds invests. Lastly, liquid funds also have taxation benefits compared to FD. Fixed deposits returns are taxed at marginal tax rates based on an individual’s tax slab, however if you hold debt funds for more than 3 years, returns are taxed at 10% without indexation or 20% with indexation. At Paytm Money, we already have a curated list of liquid funds, available under Investment Ideas named “Better than Savings Account”. We have arrived at this list after taking all the above mentioned points and many more qualitative and quantitative parameters into consideration. In addition to this, Paytm Money also offers 4 Funds having Instant Redemption facility is available, much wider choice than any other online platform. So, what are you waiting for? Transfer your idle or excess money in savings bank accounts to a liquid fund and get higher returns!